After 21 Blackjack and Baccara, Christophe Claret plays a new card in a strong hand of interactive fine timepieces with the Poker watch. 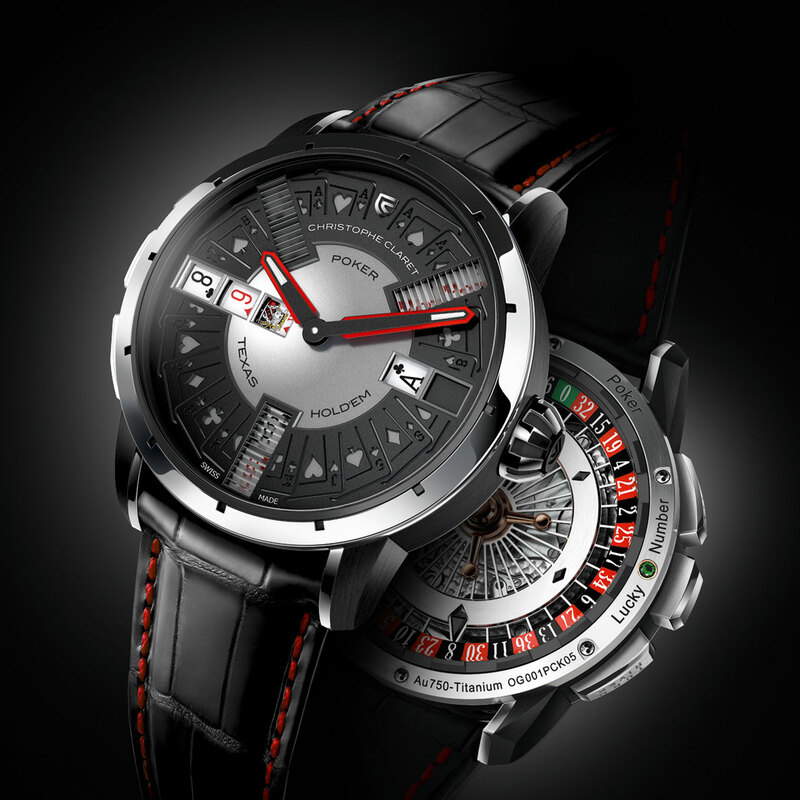 The master watchmaker has once again called aficionados' bluff and put a full pack of 52 cards inside the 45 mm case, so that three players can immerse themselves in real-life games of Texas Hold’em, the most popular variant of poker. As well as the bank, Poker packs in 32,768 combinations: that's 98,304 combinations for three players. A patented cathedral gong sounds each time the pushers for flop and turn/river are actuated. The casino atmosphere continues on the flipside, with a 3D roulette wheel on the oscillating weight. Each version is proposed as a 20-piece limited series.